The call for the enforcement of the existing laws that prohibit median parking on South Broad Street, 5th Square, an urbanist political action committee, began over a year ago during the Democratic National Convention, which took place from July 25 through to July 28, 2016. During the DNC, current median parking laws were enforced. After the convention, 5th Square PAC received 1,167 signatures for its petition attempting to solidify the enforcement and subsequent ticketing of median parking. 5th Square says it is open to conversations as to what should become of the medians (i.e. possible raised medians), and continues to request the present laws be enforced. On Saturday, July 22, South Philly resident and activist Joe LiTrenta voiced his support of the median parking practice by releasing a YouTube video stating the city parking laws should be amended to allow for free median parking on Broad St. South of Washington Avenue (where applicable). Vehicles will not park in turning lanes or crosswalks, nor on existing angled yellow lines that the city has identified for visibility. Vehicles will not park on existing concrete medians or subway grates. Vehicles must park between the double yellow lines with no portion of the vehicle obstructing traffic. 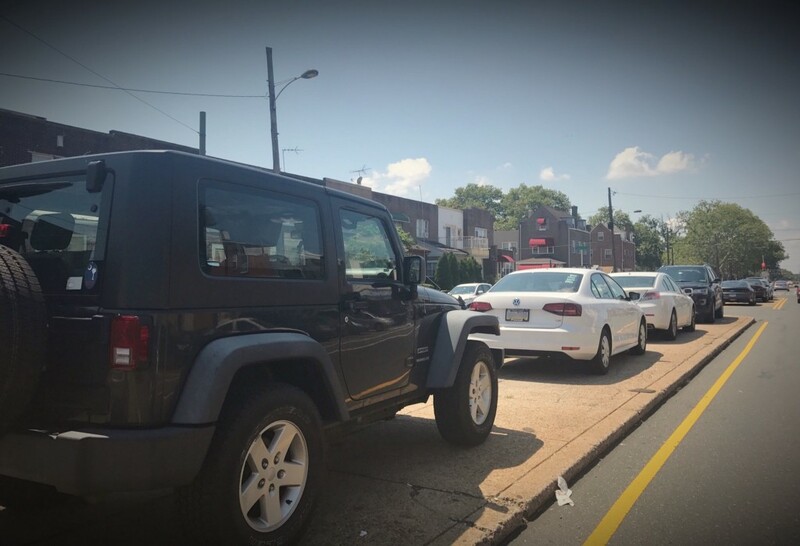 Failure to comply with any of these rules will result in ticketing and possible towing by the Philadelphia Parking Authority or City of Philadelphia.